IPVideoTrans.com focuses on building high-end software products for most popular internet video applications today, such as live video streaming for PC and mobile devices, TV / events broadcasting, IP multimedia subsystem and security surveillance. Providing high performanced media server products including Live Transcoding Server, P2P Video Conference Server/Client and Live Surveillance Server, IPVideoTrans.com brings professional media streaming solutions and great user experience at low cost. High density transcoding server software designed for live video & events broadcasting. Streams live media in multiple channels simultaneously. Supports various input & output formats including movie clips, webcam, digital / analog TV capture & tuner cards, DVB mpeg ts, RTMP & HLS live streams. Compatible with media streaming servers like Adobe Flash Media Server, Wowza Media Server, NGINX-rtmp and Windows Media Server. 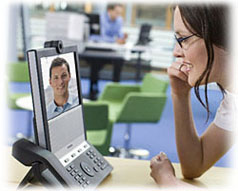 Web based live video meeting and share system with high efficiency. Enables you to have meeting with up to 15 friends from around the globe, while saving big bandwidth through our advanded P2P technology with no MCU involved. 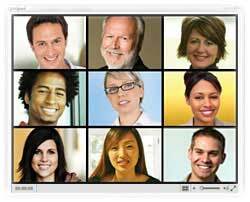 You can also share your favorite pictures, videos and your desktop during the meeting. 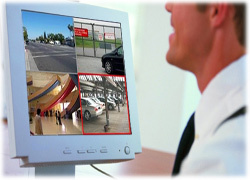 A software tool to capture video from your web camera and digital camcorder, publish live in HTTP or RTSP server. Make it possible to watch your kid or pet at home from anywhere anytime. © 2009-2017 IPVideoTrans.com All rights reserved.